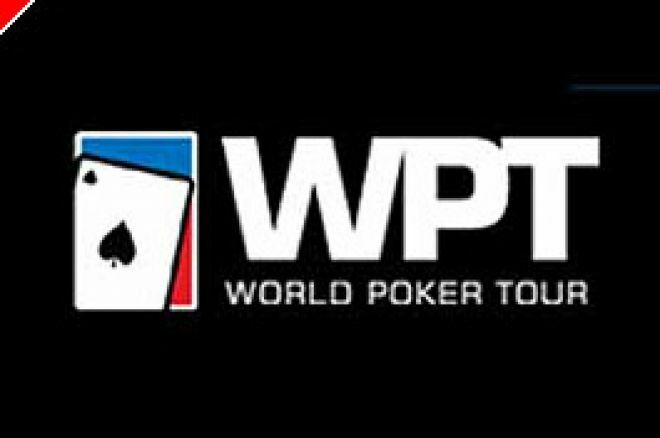 The World Poker Tour 4th Annual Five Star World Poker Classic has begun at the Bellagio, Las Vegas, where over 600 direct entry players and internet qualifiers sat down to play on "Day 1". Day 1, as is the norm for today's major poker tournaments, was split over two days to accommodate everyone. Each player has contributed $25,000 to enter (directly or via qualification) so the prize pool is in excess of a whopping $15,000,000, with the winner alone standing to collect close on $4,000,000. Each player started the tournament with a generous number of chips - 50,000 - so the pace of play was expected to be genteel with the blinds hardly figuring in anyone's calculations at this stage. As Day 1, Flight 1 wore on, UK Poker News contributor John Gale, a previous WPT winner, was making excellent headway with over 100,000 chips, alongside the likes of T J Cloutier, Erik Lindgren and Barry Greenstein. The lead however had been stolen by Chip Jett with over 200,000 with Mark Seif in close attendance. Sadly, some late choppy undercurrents seemed to strike John Gale's vessel as he ended the day with around 20,000. Fortunately, with such a relaxed blind structure in place, there is still room to turn the ship around. Despatches are awaited from John and these will appear in UK Poker News next week. On Day 1, Flight 2, Finland's high-flyer Patrik Antonius had more than quadrupled his chip count as the day was growing old. He was being pursued (chip count-wise) by leading ladies from the USA in the shape of Evelyn Ng and Jennifer Harman, and a posse of other top professionals including John D'Agostino, Erik Seidel and Scott Fischman. There was a lack of UK interest in the top echelons at this stage, unlike on Flight 1. However, as the dust cleared on the opening phases, there still remained a staggering 473 players with chip counts ranging from nearly 270,000 at the top to a long tail of stragglers toward the rear, many needing urgent repairs to remain at the tables. Leading the way for the UK was one of the greatest poker players from this country, ex-Aussie Millions winner Tony "The Lizard" Bloom, who was also a member of the triumphant England team (with David "Devilfish" Ulliott, Ram Vaswani, Joe Beevers, Julian Gardner and Scott Griffiths) at the recent 888 Poker Nations Cup, held in Cardiff. Bloom ended his first day at the Bellagio in third position with close to a quarter of a million in chips. The next UK interests are some way down the leader board where there stands Ram Vaswani, Ben Grundy, Ross Boatman and Peter Costa who are all in the 90,000 to 120,000 range. To illustrate how early it is in the tournament, this 30,000 range covers Vaswani in 40th place and Costa in 86th. They are all in the top 20% and quite capable of winning the event with a fair wind. Even the leader, Simon Moussa, only has a little over five times the starting stack of 50,000. Day 2 proper has commenced with blinds still only at 400/800. These are unlikely to make much impact on six-figure stacks and even John Gale starts with nearly 25 times the big blind. The day also started with a fresh seating draw, so players will have taken their time to assess new opponents. The WPT Five Star tournament is slowly but surely warming up! Ed note: Play for big money by Downloading Poker770 and collect a huge £500 (yes 500 Pounds Sterling!) bonus.